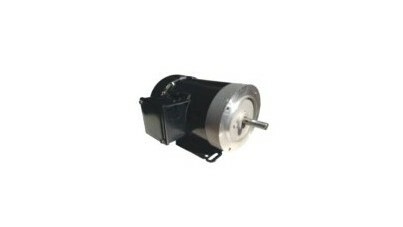 3 phase motors are often both more compact and less expensive than single-phase electric motors. Also offering higher efficiency as well as inherently higher starting torque than single phase motors, three-phase motors are an incredibly popular type of electrical motor. Typically manufactured as alternating current (AC) motors, 3 phase motors may also (but much less commonly) be a type of direct current (DC) motor. 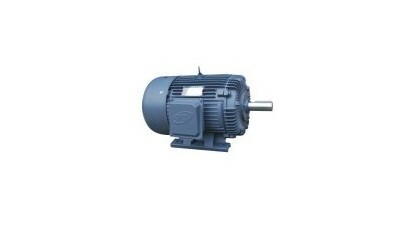 As a result of both their many beneficial characteristics and diverse range of types, 3 phase motors can be utilized in a wide range of light to heavy-duty applications and industries including: residential, for use in household appliances such as refrigerators, washing machines, dishwashers and more; industrial manufacturing, for use in powering such equipment as pumps, fans, conveyor drives and blowers; automotive, in order to power vehicle electrical systems such as in cars, sports utility vehicles (SUVs), trucks, vans and more; and petroleum, for the powering of oil and gas drilling equipment, pumps, tankers and more. The operation of three-phase motors is dependent upon the 3-phase electrical load, but the purpose of the 3 phase motor is the same as all other electric motors: the conversion of electrical energy into usable mechanical energy. A simple, basic design, 3 phase electric motors feature the main components of a stator, a rotor and 3 coils, also referred to as windings. These coils must be arranged in such a fashion as to be 120º degrees apart.3 phase motors are activated by means of a power supply that transfer the desired current (AC or DC) to the stator. The stator does not move, instead the passing through of the current from the power source activates the stator and makes it act in much the same way as a field magnet. The rotor, also referred to as a wound armature, is the moving part of the motor. The three coils are attached to the rotor, which rotates and causes them to be rotates through the magnetic field produces by the stator. It is the rotation of the three coils through the magnetic field that results in the generation of mechanical power that is then sent out through three lines, or outputs, to the machinery, equipment or components requiring power. 3 Phase Motors 3 phase motors are a type of electric motor that operates based upon a three-phase electrical load, which is a common form of electric power transmission.